A Holiday Motel is nestled in the Great Smoky Mountains. 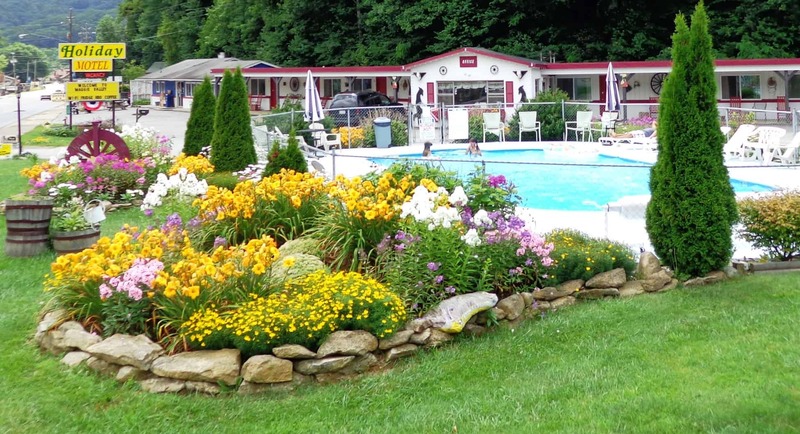 Our motel is a family run establishment located in the heart of Maggie Valley, NC directly across from the Maggie Valley Festival Grounds, 1/2 mile walk to the Wheels Through Time Museum and 5 miles from Cataloochee Ski Area. We offer affordable rates, & good ol’ fashion southern hospitality and up to date spotless rooms. Motorcycle and Group friendly with 24 rooms!